It is a critical time for the Kohayagawa family, the owners of a Sake Brewery. It doesn’t help when patriarch Manbei (Nakamura Ganjiro) starts visiting his old mistress again. The End of Summer is Ozu Yasujiro’s penultimate movie. I’ll be perfectly frank in that this is probably my least favorite Ozu film so far. 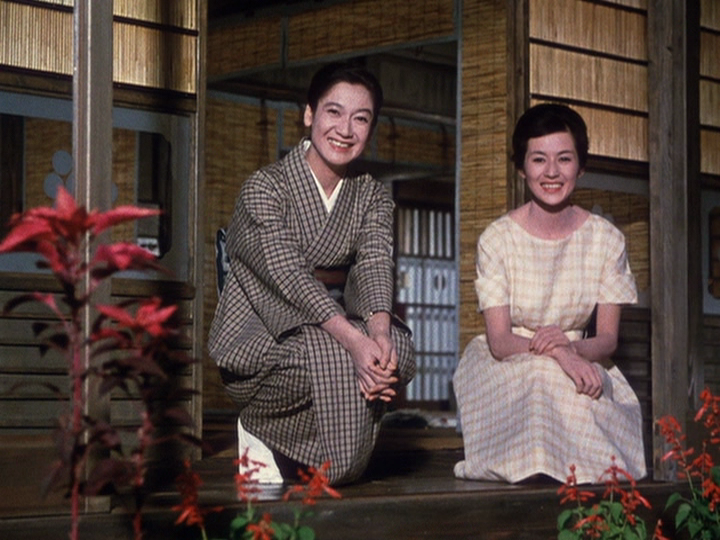 Unlike other Ozu films I have seen, The End of Summer had more of a true plot, whereas films like Late Autumn (1960) or Good Morning (1959) were more collections of subplots. The End of Summer had subplots, but they did take a backseat to a more important main plot. Overall, The End of Summer was well-acted, especially on the part of Nakamura as Manbei and Hara Setsuko as daughter Akiko. But as expected with Ozu films, The End of Summer moved at a very deliberate pace, which can turn some viewers off. Ozu’s directorial style always appealed to me. He has a preference for leaving a camera stationary as characters walk on and off the scene. Moreover, dialogue scenes typically involve alternating head-on shots of the characters involved as they speak. As a result, The End of Summer showed to be very visually appealing. Nonetheless, I kind of felt like the plot didn’t really go anywhere, where at least one of the subplots was unresolved. It is for that reason that I feel like The End of Summer is my least favorite Ozu film, but it is still Ozu and still definitely something worth picking up for Japanese film aficionados.